From December to April, snowmobiles can be found crossing hundreds of miles of trails in Mt Washington Valley. Great views of the New Hampshire backwoods are only part of the thrill of hopping on a snowmobile, revving that engine and dashing through the snow faster than Santa’s reindeer. Guided tours for first-timers of all ages and abilities are available for an unforgettable experience. 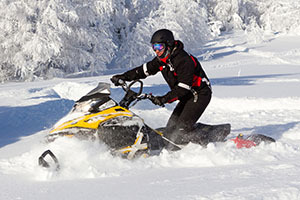 Ask us about Jackson NH snowmobile rentals and tours when you book your stay at Christmas Farm Inn & Spa.